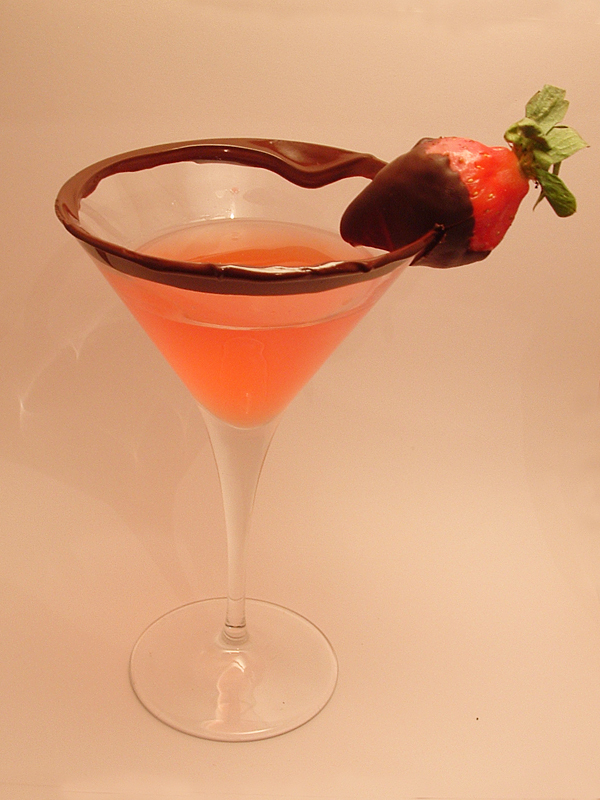 This, the fourth of our Valentine’s Day Passion Potions, is the Temptation Temptini – strawberries dipped in chocolate fed to you by your love… who could resist such sweet temptation? In cocktail shaker combine white rum and creme de cacao with the frozen fruitopia concentrate until well blended. Melt dark chocolate until it’s beginning to melt. Rim glass with a thick layer of the chocolate. 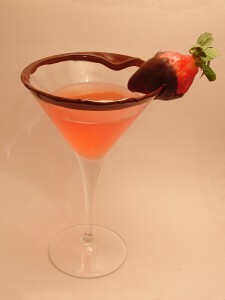 Pour cocktail into the glass then garnish with a ripe fresh strawberry thickly coated in the chocolate.